Buying a product for the first time without being able to inspect it, I was quite pleased. Hello! This bag has 3.5 inch, plastic wheels. There is the one handle for lifting. 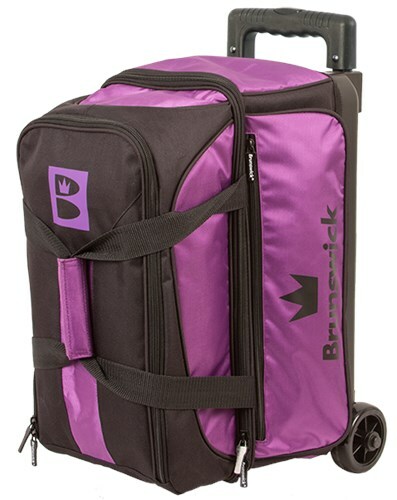 Due to the time it takes to produce the Brunswick Blitz Double Roller Purple ball it will ship in immediately. We cannot ship this ball outside the United States.